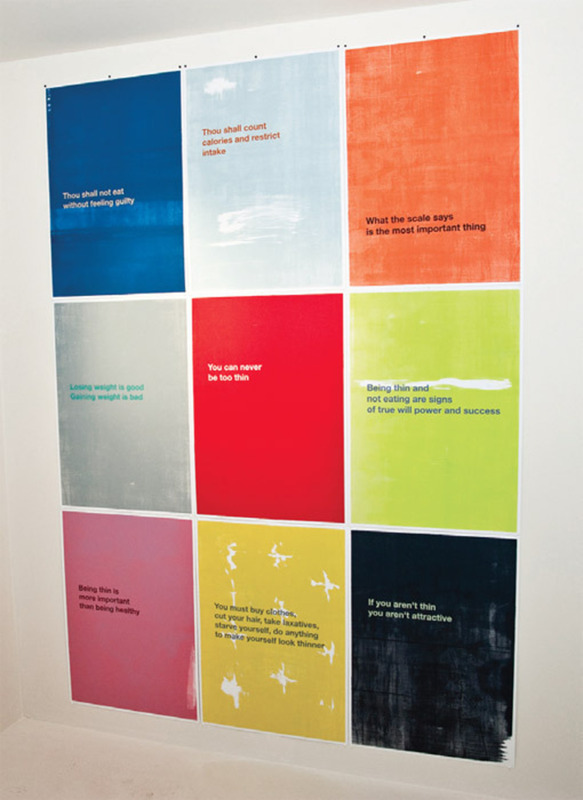 Johannes Wohnseifer, The Thin Commandments (detail), 2010, ten silk-screened prints, each 27 3/5 x 19 2/3". Inside a seven-by-seven-by-nine-foot wooden box built within a living room in south Saint Louis, Cologne-based artist Johannes Wohnseifer posted The Thin Commandments, 2010. Emblazoned across ten silk-screened prints, the work relayed ten self-directed comments common to eating disorders: for example, THOU SHALT NOT EAT WITHOUT FEELING GUILTY; IF YOU AREN’T THIN YOU AREN’T ATTRACTIVE; BEING THIN IS MORE IMPORTANT THAN BEING HEALTHY; and so on. 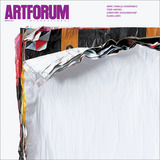 Each dictum appeared on a discrete, brilliantly colored poster bearing subtle patterning, squeegee marks, modulations of saturation, and ghosted letters.